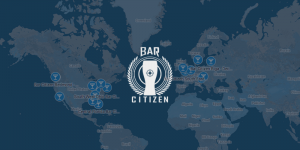 Join Jimi and me for a leisurely road trip to Carlsbad, CA to invade #BarCitizen San Diego! We might even stop at an In and Out Burger. OK, we're definitely going to stop at an In and Out Burger. Don't feel like driving? I've got space for two more in my whip...Get at me!